Pupillage interviews are hard. For every successful pupillage offer there are typically more than 200 other applicants who didn’t make the cut. What is even more terrifying is the calibre of these unsuccessful applicants – pupillage committees routinely complain that they could have given 10 pupillages for every place available, the competition is so tough. The question is, then, what can you do to stand out? It’s not impossible to get that dream pupillage offer, but you have to be savvy. In the run up to interview season, this short guide will explain the three core criteria for succeeding in a pupillage interview and then illustrate these with some example questions at the end. A pupillage application is a test of how well you can tailor your skills, qualifications and experiences to demonstrate the skills required of a good barrister. This is in italics for a reason. If there is one single lesson that you take way from this guide, this is it. It’s worth pausing for a second here to consider what this actually means in practice. You’ve heard it before I’m sure, but how do you pass that test? The answer is simple. You need to know your own past achievements (and failures) inside out, and then think about how they can address the skills that a barrister needs. Intellectual success, self-reliance, flexibility, determination, teamwork, research skills, oral advocacy, persuasion, conflict-resolution – any of the multitude of necessary skills that you could be asked about, you need to have an example ready at the tip of your tongue that demonstrates how you fit the bill. This needn’t even be an obvious question such as: “Tell us about a time you worked in a team.” If you get asked: “Why do you want to be a barrister?” the answer has to be specific to you and your past experiences. These are harder to prepare than the above. But they are by no means impossible. You don’t have to solve Brexit, the housing crisis and world hunger in two minutes. What you do need to do is say something sensible, clear, and structured. Talk through your thinking, from one logical point to the next, and be prepared to stick by your answer (assuming it is sensible!) when it gets criticised, as it invariably will. This is a test of how quickly you can think and how you react under pressure. Again, there is no requirement to come up with innovative and original thoughts (though if you can, go for it). What is more important is to explain your position, which may well be completely orthodox, in a simple and clear manner. >> Find out more about discussing current affairs through our Legal Hot Topics 2018 page! How you come across is half the fight. However, as this is something you have complete control over, it is also half the victory. Wear business wear. Get a smart haircut. Leave the salmon floral tie for another day. Simple things like this show you will be able to go to a conference with a client and not embarrass the silk leading you. That matters. Practice talking slowly and simply. It sounds ridiculous, but if you actually listen to yourself as you answer a practice question you’ll be amazed at the hundreds of ‘ums’ and ‘ahs’ that punctuate your answer, the convoluted sentences that never seem to have an end, and the sheer pace of the machine-gun patter that spews from your jaw when under pressure. If you can eliminate these three classic problems, you’ll come across as more persuasive already. Judges are human. Think about it. If I’m a judge, who am I going to find more persuasive: the finest brain in the land, whose arguments on paper appear to be blindingly impressive but who mumbles incoherently in court, or the simpler counsel, whose arguments may not be setting the world alight but who speaks clearly, fluently, and slowly enough for me to make notes on their answers? An algorithm would go for the former. A human would plump for the latter. The classic, and yes, you will likely get asked this. Know you answer off the top of your head and practice making it sound sincere and spontaneous. You know it isn’t, they know it isn’t, but that’s all part of the test. As stated before, make your answer personal to you, drawing in experiences that only you have had. What are the three main selling points on your application? Don’t assume they’ve read and remembered everything you wrote! Of course you remember them, that’s inevitable, you’re the one who spent hours writing it after all. But this is a good thing – it means you know what your main strengths are (that interesting work you did for your uni pro bono society springs to mind, or that sports competition you trained for and won, or that essay you worked through the night on that got a prize) and can recite them in your sleep. Yes, I know, another classic. But it’s a classic for a reason. You have to demonstrate self-awareness, self-criticism, and a capacity for humour (ideally!) to get away from this one. As long as you come up with something plausible (NOT ‘I’m a perfectionist’, that’ll get you marked down straight away) that, again, is illustrated by an example from your past, you’ll be fine. Why are you applying to this Chambers? You’d be surprised at the number of people who cannot answer this simple question. Do your research, know what it is they do, and then tailor something from your own past experiences to demonstrate how you’d be good for their work. What is your opinion on the death penalty? A bit more of a curve-ball, this one. You have to make an argument here. Pick a side, conjure up whatever evidence you can, and defend it to the teeth. They’re not interested in what you position you take, just how well you can argue it. As always, practice makes perfect. Obviously most of us haven’t worked as an Amicus in the USA so don’t have that much experience directly relevant, but we’ve all read about Sandy Hook or the more recent Florida shooting. If you can tie external examples into your answer you will be demonstrating exactly what lawyers have to do on their feet in court, and be that much more impressive for it. This one comes directly from personal experience. It’s an odd one (it threw me, no doubt about that), but fairly easy to answer in hindsight. Don’t just go for empty adjectives that you think describe you – tell them of a time you had to communicate something to someone in challenging circumstances and how you did it. 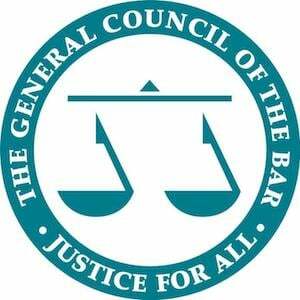 What are the greatest challenges facing the modern Bar? Now this needs some thought; hopefully you’ve already done some thinking about the position of the Bar and how it needs to adapt in the future. Here they’re not only checking how you can think on your feet, but also whether you take an interest in the wider world of the law beyond study and research. If you can tell them of that specific case you saw on a mini-pupillage that proved the difficulties facing modern barristers (maybe the opponent was a litigant-in-person denied access to legal aid, or maybe your counsel simply hadn’t had time to process all the papers properly), you’re home and dry. What one area of the law would you change and why? If you’re sensible, you’ll choose something from an area of the law that this particular Chambers practises in (it looks a little bizarre if you argue for changing evidentiary procedures in criminal fraud trials, for example, at a commercial set) but you need to know your stuff. Again, preparation is key! What do you enjoy doing outside of the law? This is a chance for you to show how interesting you are. Be honest, but don’t go too crazy in an attempt to stand out (“I’m working towards the Guinness world record for the longest continuous pogo-jumping session” is probably inadvisable). Likewise, if you say “I read the news and keep up to date with current affairs” you’re probably going to be forgotten the moment you walk out of the room. Is there anything that you’d like to ask us? This is the one question on this list that I can almost 100% guarantee will definitely happen! How to answer it? See our short blog post here. There we have it. If you can think up your answers to these example questions, keeping to the three principles, you’ll massively increase your chances of passing a pupillage interview. Good luck!